If that dry, dull winter complexion seems to stick around well into spring, it's time for a serious skin intervention. (A skintervention?!) 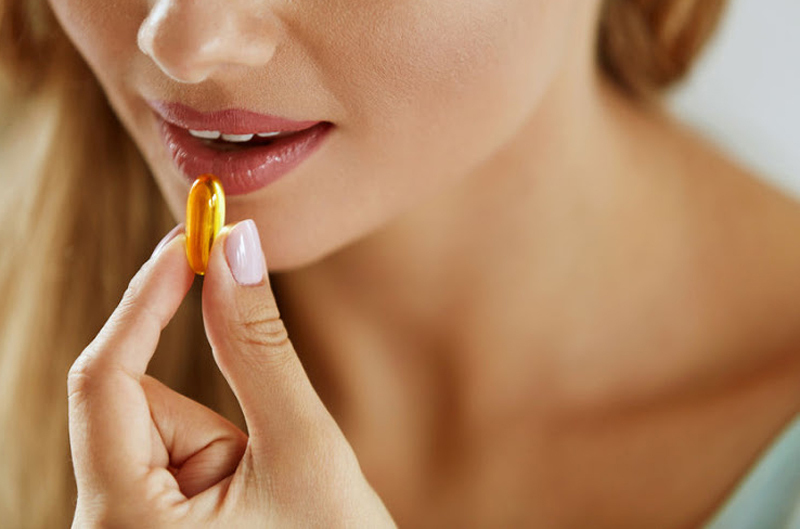 Taking a supplement can complement your healthy lifestyle — including a nutritious diet, regular exercise program and skincare routine — to offer a little boost and make you look more radiant. And as a bonus, most skin-friendly supplements offer other health benefits, too, so they can enhance your overall wellbeing as well as help you get smooth, glowing skin. A good multi will generally have between 25% and 100% of your daily needs for each vitamin and mineral. Make sure your multi offers a significant amount of calcium, potassium and vitamin D — three nutrients you’re likely to need a little boost on. Don’t be afraid to stick to a basic multivitamin — you don’t need to shell out for one with fancy herbal blends. Even a basic multi will supply lots of skin-friendly nutrients, like vitamin C and iron, to keep you glowing. OK, maybe you can’t actually get sunshine in a bottle, but a carotenoid supplement comes pretty close. Carotenoids are plant-based pigments that range in color from orange to pinky-red. They’re powerful antioxidants — perfect for combating free radicals that would otherwise age your skin — and even provide vitamin A, which supports healthy skin cell growth. Look for a supplement that contains lycopene, beta-carotene, alpha-carotene, or a mix of carotenoids that contains one or more of those three. While each type of carotenoid has its own set of benefits, they’ll all make your skin glow. 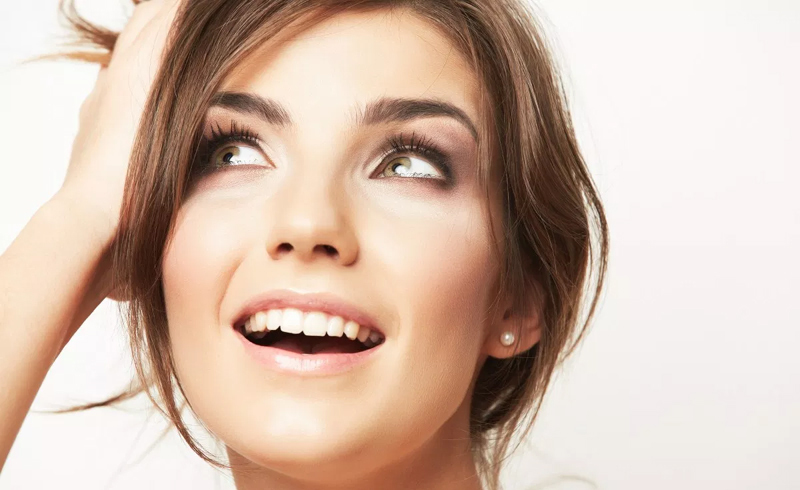 Look at any skincare ad and you’ll hear about the benefits of collagen for a youthful complexion, and the reality lives up to the hype. Collagen fibers are made up of strong strands of protein that help hold your skin in place, and different fibers weave around each other to form a supportive “net” that keeps your skin looking firm and youthful. As you age, you naturally lose collagen. That reduces your skin’s elasticity, and you’ll start to develop fine lines and wrinkles. Taking a collagen supplement can help maintain that collagen "net" to support smooth, young-looking skin. While the collagen in a tablet won’t actually migrate to your skin tissue, it will break down into smaller compounds called amino acids — the perfect mix of amino acids to boost new collagen production in your skin. You’ll get the best results combining a collagen supplement with healthy sources of protein, like lentils, nuts, eggs, fish and lean meat. That way, you’re sure to get enough amino acids to not only keep your skin smooth, but keep your muscles and bones strong and support skin cell turnover. Spirulina (a blue-green algae that’s sold as a powder or in tablet form) has become a smoothie and juice bar staple, and for good reason — it’s great for boosting your energy. Spirulina also comes packed with nutrients to keep your skin glowing and smooth. It offers protein to support collagen production and help with skin cell turnover, copper to help you make melanin — the protein that gives your skin a sun-kissed glow — and iron to oxygenate your tissues, including your skin. You’ll also get healthy B-complex vitamin, which boost your energy levels and help prevent nutrient deficiencies that might others make your skin dry and brittle. Opt for spirulina tablets if you’d prefer to take spirulina like a supplement, or get the loose powder to add to juices or smoothies. It’s best mixed in with other fruits and veggies —like this flavorful antioxidant smoothie — since spirulina on its own can have a marine flavor. Sure, you already know fatty fish are great for you, but if you’re having trouble getting the recommended two servings of fatty fish each week, taking a fish oil supplement might help. Fish oil supplies two omega-3 fatty acids, called DHA and EPA, that not only support brain function and fight heart disease, but nourish your skin. These healthy fats naturally lower inflammation to help fight skin conditions like acne, and they naturally moisturize your skin (goodbye, dry patches!). Because they promote cardiovascular, fish oil also supports healthy blood flow, so your skin gets the oxygen it needs to glow. Look for a fish oil supplement that’s free of mercury, PCBs and other contaminants, and supplies both DHA and EPA in each tablet. If you get cod liver oil, look for varieties that have some or all of the vitamin A removed to prevent a harmful vitamin overdose. While the right supplements can help you get your glow on, you should never take them without talking to your doctor first. Any supplement has the potential to cause side effects, and that risk increases if you’re combining different supplements or combining supplements with prescription medication. And taking too many supplements might actually harm your skin. Too much vitamin A, for example, can cause nasty skin rashes. A doctor can offer personalized supplement recommendations, and keep you away from potentially-unsafe supplement combos that might affect your health (and your skin).